Herzlich Willkommen im Octavia ♥ Vinyl Scratch Fanclub! 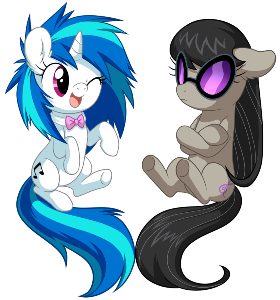 Die Rede ist natürlich von Octavia und Vinyl Scratch! die aber vom Fandom selbst ihre Persönlichkeiten erhalten haben, schon widerstehen? 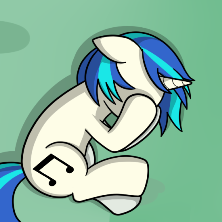 When Octavia meets Vinyl Scratch while at school, she becomes aware of feelings for the unicorn. Feelings that a respected Canterlot mare like herself should not be feeling towards a mare, even if that mare happens to be a fillyfooler. 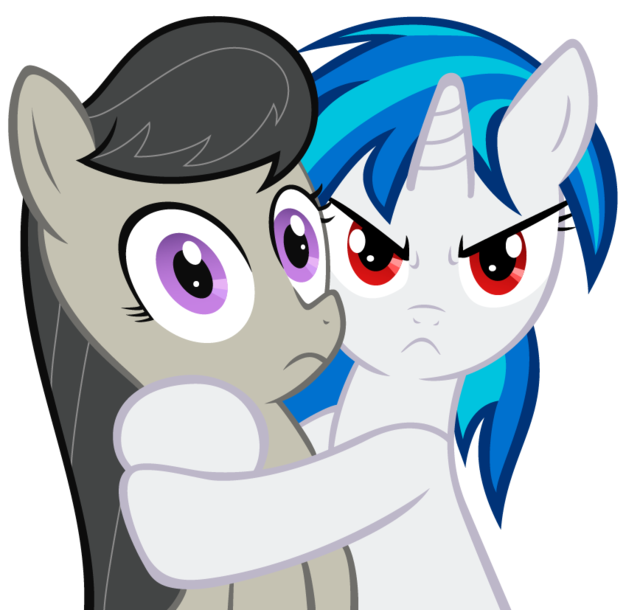 Octavia lives in worry that somepony will discover her secret, but she's more terrified of Vinyl finding out and leaving her for good. Octavia would rather face a life alone than lose Vinyl, which is why she has to tell her never mind. 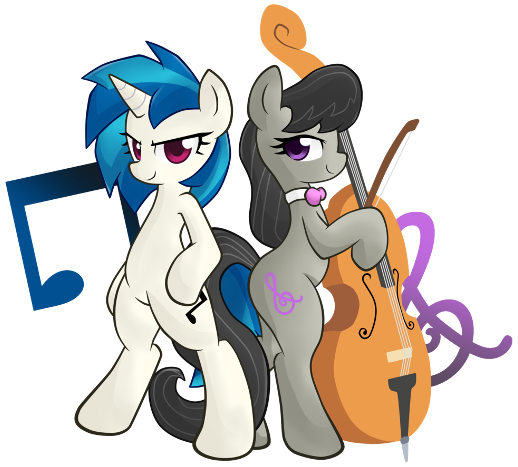 "A Puppet To Her Fame"
"Vinyl and Octavia: University Days"
A refined mare fresh out of high school and a dropout following her dreams find themselves forced to spend a lot of time together. With the help of a meddling psychology tutor and their new classmates, can they find what they've been looking for? Und wie ich immer wieder darauf hinweise, soll auch hier kein Material für 18+ gepostet werden. Ein OctyScratch FanClub? Count me in! Was ich sonst jedem nur wärmstens ans Herz legen kann? joa ich bin auch fan von dem pärchen und möchte jedem noch die fanfic: "Leap of Faith: Octavia vs Rave" ans Herz legen! Das beste Paar ever. Sie ergänzen sich auch gut Klassisch und was auch immer DJ Pon-3 macht. Seit Allegrezza bin ich auch Fan von den beiden. Sie passen irgendwie zusammen. Ob sie wollen oder nicht. Liegen sich ja im Fanon öfter mal in den Haaren und sind sich uneins. Jetzt wissen wie was passiert wenn Octavia wütend ist. 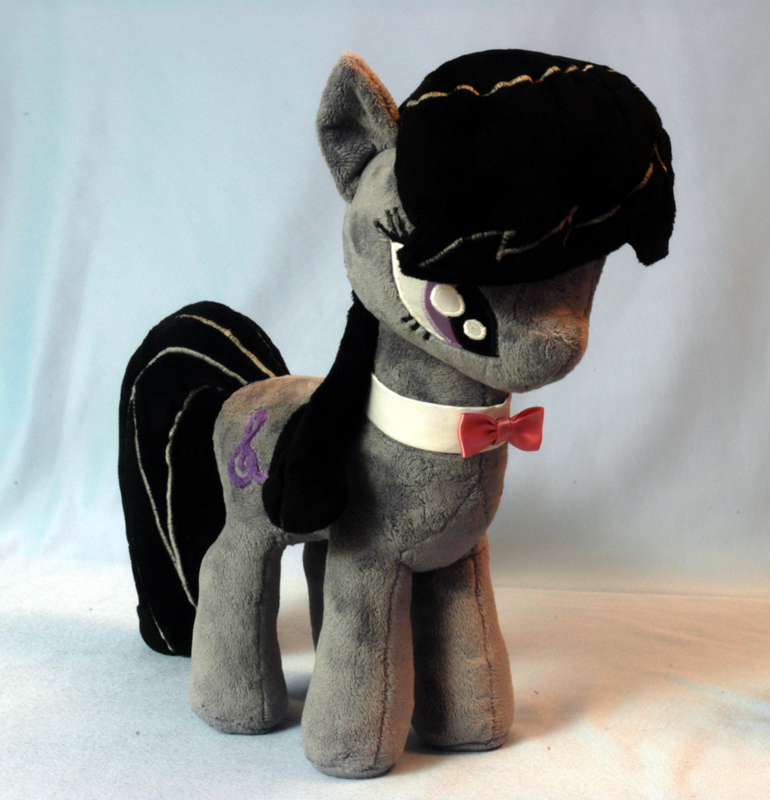 Hmm... gibt keinen Octavia fanclub, also stelle ich das hier!